What cables and things do your need to connect your pumps to your computer? Here’s the items you need. When one or more pumps are connected to your computer, we refer to the interconnecting cabling and USB-RS232 adapter as a pump network. Are you an electro spinner or electro sprayer? See my post on High Voltage setups. Want to buy cables but don’t know where? 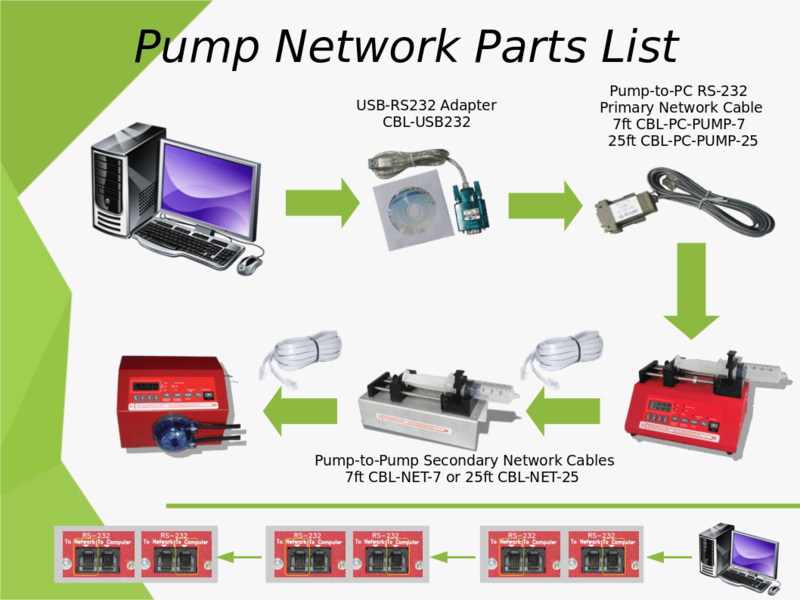 What parts do you need to build your pump network? One or More Pumps? Different manufacturers? Different Models? If you have multiple pumps, you need to buy all the parts up to the first pump and then a CBL-NET-7 Pump-to-Pump Secondary Network Cable for the number of pumps you have minus 1. You already have connected the first pump with the CBL-NET-7. Remember you can mix models and brands of compatible pumps. Print this diagram for reference whilst you order cables and leave it with your pumps as documentation on how to make your pump network. 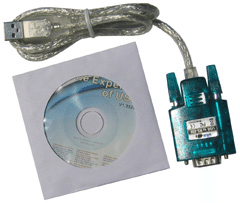 Adds RS-232 serial port to your computer. Connect to a USB port on your computer. These parts are available from your pump distributor. If you don’t know who your distributor is you can search our distributors by country they serve here. Or you can go to the manufacturer New Era Pump Systems cables page and then on to their order form. Do you have a CBL-DUAL-3? That is for connecting dual pumps on their own without computer control. 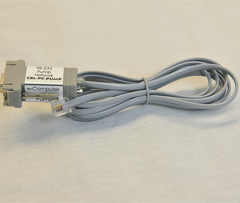 Don’t use this cable to make a pump network – it wont work. Read more about Dual Pump Sets.